Extensive carving adorns the mantels, and much of the cabinetry, throughout this expansive home. Niche cabinets, and the entry passage from the formal foyer, reflect the arches of the two story Palladian windows, on the opposite wall. Raised panel wainscoting, with chair rails integrated into the cabinet decks, reflect the extensive custom design, and highly skilled hand work required to fulfill the demands of a classical format. 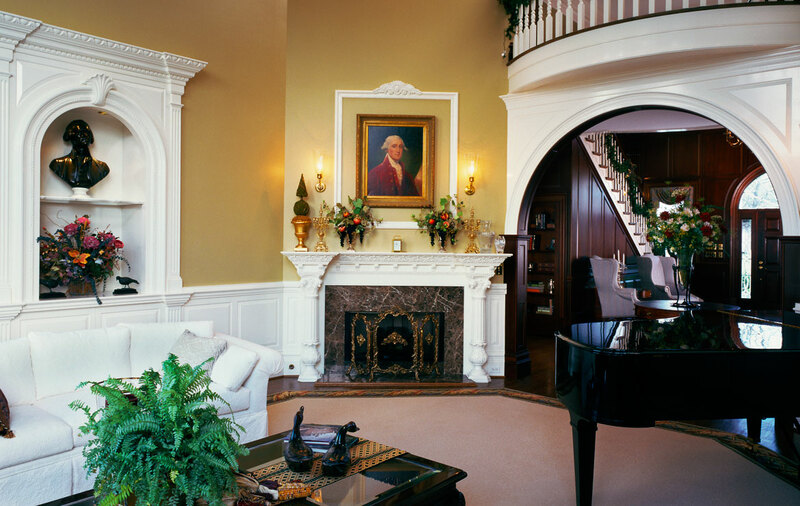 Custom design cabinetmakers, Jaeger & Ernst, consistently offer this highest level of service.